Have you ever wanted to love something, but you just can’t fully commit to it? There’s just something about it that keeps you coming back for more, but, at the same time, makes you keep it at arm’s length. Meet the object of my on again, off again love affair. Turquoise. I have painted a buffet in my living room turquoise. 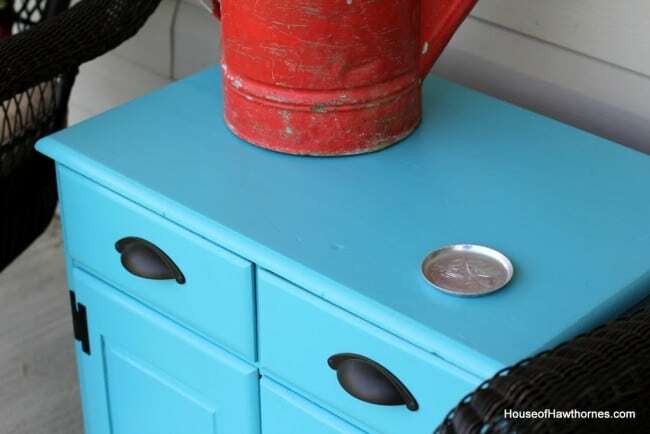 Painted a cabinet on my porch turquoise. Painted a garage sale wooden bowl turquoise. Even painted my toes turquoise (please forgive the ugliness of my feet). I really want to be a turquoise girl. A turquoise girl is fun, a little bit edgy, a tad spunky. But there is just something about the color that doesn’t sit well with me for the long term. Sure I can love it short term, have a little affair with it. But after a few weeks, I’m eyeing other colors. It’s not marriage material in my eyes (apologies to all you girls married to a Mr. Turquoise). So what color am I looking at for my hall bathroom redo? I’ve been looking at different shades of turquoise, thank you. I love this color in the summer. Nice toes. I can’t commit to it on my toes though. I went pastel pink. It’s safe! Ha, Ha. GREAT CABINET! 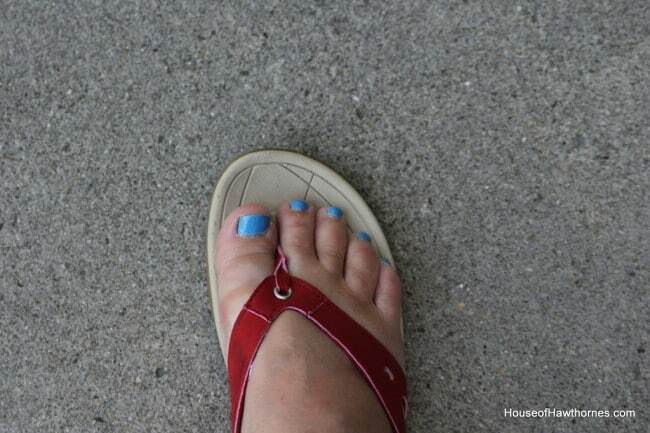 I love the turquoise toe nails! Too cute! I love turquoise but it seems that a little bit goes a long way, maybe? I have painted only one thing an aqua/turquoise and I like it a lot but now I want to add a lot of white to the paint to lighten it for the next project….maybe….I do like how your cabinets turned out! I have the exact same problem with turquoise, too. Last year I painted a few things that color and tried and tried to love them but no luck. They have since been repainted and now as I browse others pretty turquoise accented rooms I am tempted again. What is it about that color? I love it too! Then I drift towards aquamarine–it is all beautiful! OVER CHRISTMAS I WANTED TO SPRAYPAINT A SMALL WOODEN TREE. SO OFF TO HOME DEPOT I GO. 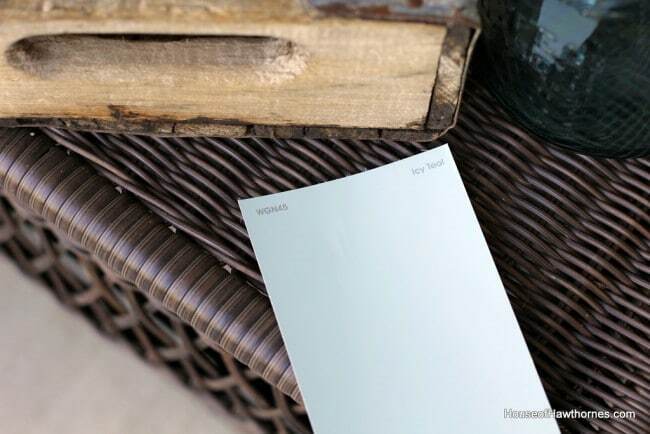 I BLUGHT PRIMER AND THE PERSON IN PAINT SAID RUSTOLEUM LAGOON WAS THE COLOR I WANTED…WRONG WRONG WRONG!! !I WANT TURQUOISE LIKE TGHE PIANO AT THE TURQUOISE PIANO. LAGOON WAS NOT IT. UNTIL I CAN FIND TURQUOISE SPRAY PAINT…. DO YOU HAVE ANY SUGGESTIONS????? Maybe that’s all it was — the right color but the wrong shade. I’m am in wild admiration of your turquoise toenails!! Fortunately you have feet worthy of some attention. Mine are in a witness protection program. It’s only paint, right? That’s what I love about paint. It’s not permanent. I’m loving the shade you’re looking at for your bathroom. I have a very similar swatch for mine, but it’s got ugly beige wall and floor tile, so it just won’t do. Can’t wait to see what you decide. BTW, I do love all the pieces you’ve already painted. My granddaughters are painting one of the bedrooms orange and yellow. Nice shades; I’m going to like it. I just love that color. 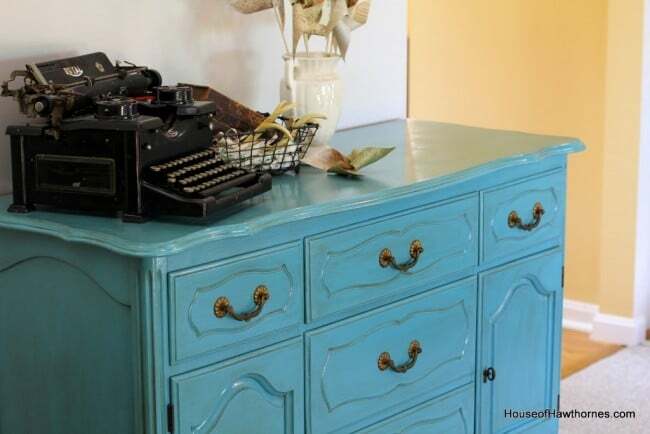 I wondered if it would stay since the new color is orange(I’m not going orange) I just got so Annie Sloan Duck Egg Blue and can’t wait to paint something. Maybe you should use turquoise in small areas, like throw pillows, picture frames or vases, rather than big pieces of furniture. Just a thought. I love your posts, so funny! I can identify. On my latest blog post I have a big turquoise table in my antiques booth and its beautiful, but I am thinking of painting it white because I don’t think I can live with it long term. I say live with it becaue I want to bring it home.I want to be hip but I love classics and go back to white almost always when I am painting furniture. 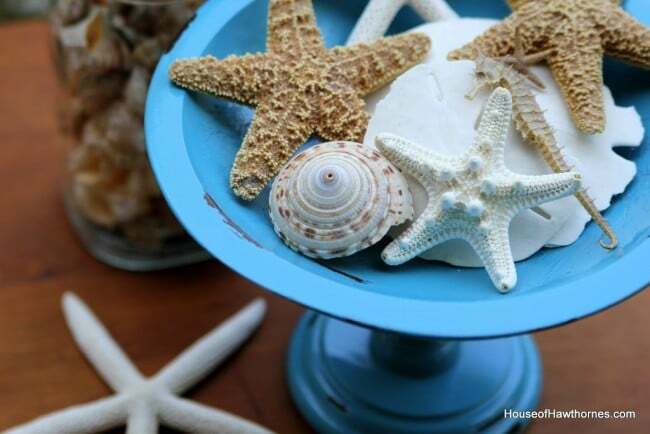 Also, I would love to wear that color on my toes but I have Raynaud’s syndrome which makes my fingers and toes turn blue in the cold (even in the summer in a cold AC room)…so turquoise is not a complimentary color for me!But your toes looks great and so does the table! Oh, oh, oh! I so know what you mean!!! last year I was painting everything aqua, I can’t spell turquoise(whatever). I still have some pieces that are that color, because I really love it for summer time. LOVE your toes!!! !With all the white around here, having a pop of color is nice. The aqua reminds me of the sea, so I think that’s why I like having it around me. A little goes a long way tho. i’m sooooooo with you on this crush & LOVE your shared pics! Well it’s certainly a cheery color. As for the lighter shades, Much more calming.